Mompox, a city declared a historical and architectural world heritage site, began the grand celebration of Holy Week in 1564 with their Serenade to the Deceased. Mompox, declared a historical and architectural world heritage site, began their unique religious celebrations in 1564, which oddly enough started with wealthy people who donated jewelry, altars and paintings to the church as an easy way to expunge their sins and achieve salvation through God. 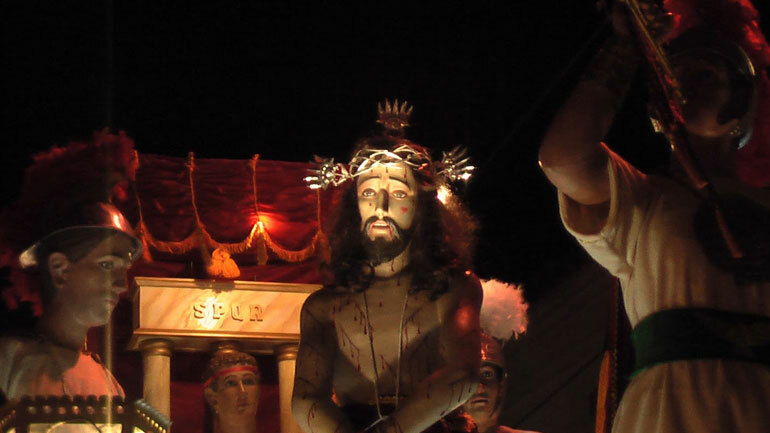 To follow tradition, Saints are still adorned with jewels each Easter, but the most celebrated event during Holy week is the Serenade to the Deceased, a fusion of catholic traditions with magic and paganism, elements custom to the the city. At approximately 6PM on Holy Wednesday, Mompox residents dress in their best clothing and gather in the cemetery to commence a unique event. Residents remain in the illuminated cemetery all night sitting in front of graves of deceased loved ones. They light candles, adorn the graves with flowers and celebrate the dead with a purposeful serenade. The Catholics do so until the early hours of the morning when funeral music is played to honor the dead.